*On the fourth Sunday of each month, Starkville A.A. hosts an open eating/speaker meeting. A.A. birthdays are also celebrated that night. Most of our meetings are downstairs in the Parish Hall at the Episcopal Church of the Resurrection which is behind the church office at 319 University Drive, Starkville, MS 39759. Many people find it easier to park in the adjacent Bank of Commerce parking lot (315 University Drive) next door to the church. There is a sidewalk from the bank parking lot to the Parish Hall. Parking is also available in the upper level parking lot (105 North Montgomery) on the church grounds. Bank parking can be used after 5:00 pm on weekdays and any time on Sunday. For our noon meetings, please park in the upper parking lot. Parking at the Connection Building is street parking. We ask that you please do NOT park in the First Baptist Church parking lot across the street. Rule 62 Group at St. Joseph Catholic Church (607 University Drive) with a Wednesday 5:30 pm meeting and a Saturday 10:00 am meeting. 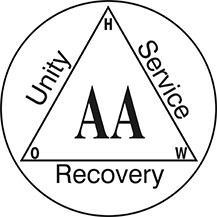 Mississippi State University Collegiate Recovery with a Recovery Night every 2nd and 4th Thursday at 7 pm in room 128, McCool Hall on campus and an A.A. Meeting every Wednesday night at 7:30 pm at the Collegiate Recovery Community House, 140 MacGruder Street on campus.